We consider the problem of minimizing the sum of an average function of a large number of smooth convex components and a general, possibly non-differentiable, convex function. Although many methods have been proposed to solve this problem with the assumption that the sum is strongly convex, few methods support the non-strongly convex case. Adding a small quadratic regularization is a common devise used to tackle non-strongly convex problems; however, it may cause loss of sparsity of solutions or weaken the performance of the algorithms. Avoiding this devise, we propose an accelerated randomized mirror descent method for solving this problem without the strongly convex assumption. 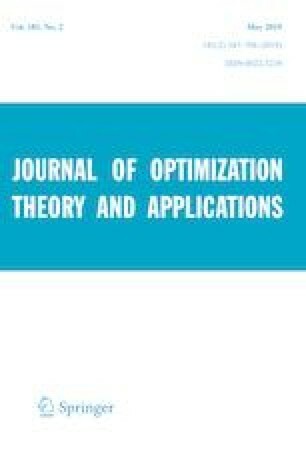 Our method extends the deterministic accelerated proximal gradient methods of Paul Tseng and can be applied, even when proximal points are computed inexactly. We also propose a scheme for solving the problem, when the component functions are non-smooth. We are grateful to the anonymous reviewers and the Editor-in-Chief for their meticulous comments and insightful suggestions. Le Thi Khanh Hien would like to give a special thank to Prof. W. B. Haskell for his support. Le Thi Khanh Hien was supported by Grant A*STAR 1421200078.